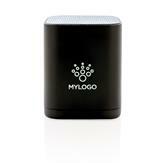 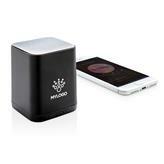 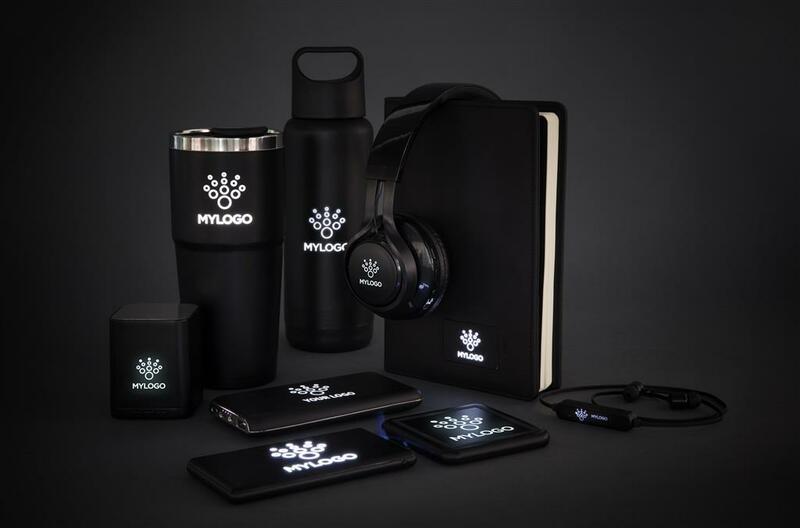 Wireless 3W speaker that can be customised with your logo on the ABS surface. 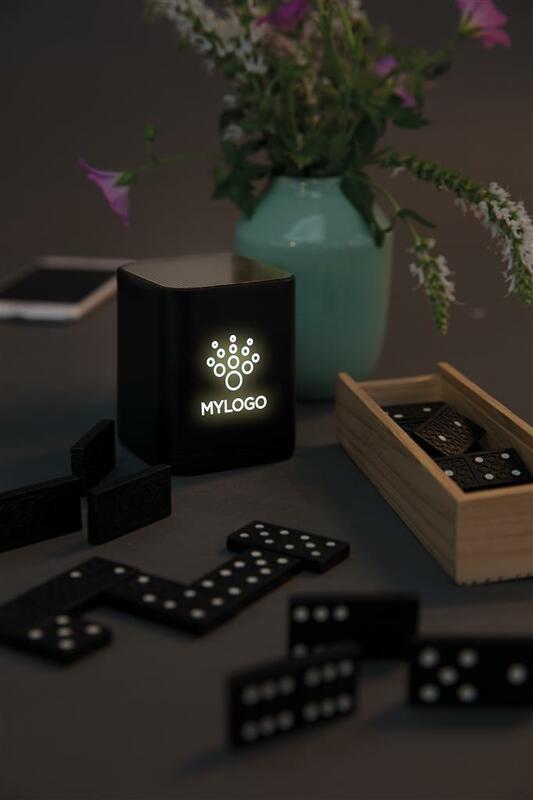 The logo will light up for optimal exposure of your brand. The speaker uses BT 4.2 for smooth connection up to 10 metres. The built-in 400 mAh battery allows you to play music for up to 4 hours on 1 charge and re-charge is done in 1 hour.